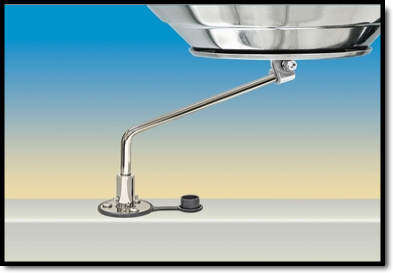 This mount is made of 18-8 stainless steel. A stainless detent pin lets the grill rotate and lock in 8 different positions allowing it to be moved inboard and outboard. Mount includes a rain cap. Rod portion of mount quickly disconnects for compact storage. Some fasteners required for installation..